With Microsoft, one of the best things you can expect is – exceptional collaboration. Microsoft is the pioneer of secure and robust technologies. All their products and services are innovative and purposeful. Windows 8.1, is no different. Windows 8.1 is a great operating system, and unlike its competitors, it is unique in every aspect. Windows 8.1 came out in 2013. It was something different, featuring “Modern UI” in a tile-based form providing dynamic updates to the user. Further, the new operating system facilitates swift cloud integration, which ensures users have all that they need readily available. Thanks to sandboxed environment, Windows 8.1 further assures seamless stability and security. There are a plenty of other features the new operating system offers, and this has indeed enabled Microsoft to retain its dominance in the desktop and tablet market. At Webstralia, we are very passionate about all the Microsoft technologies. We take pride in staying in constant touch with the Microsoft technologies and upgrading our skills as required. We proudly use latest Microsoft technologies such as C#, .NET, ASP.NET, XAML, and several others to deliver exceptional solutions in Windows app development. Similar to the latest Windows, Microsoft also came out with the latest Windows Phone mobile operating system in 2014. Windows Phone too is an outstanding operating system with Modern UI. Its features and performance are at par to the desktop version. Currently, there are over 130,000 apps available and more and more business people are demanding new apps that enable them to collaborate their business functions. 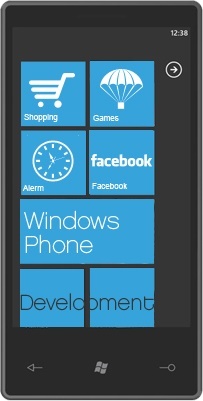 Our Windows Phone app development service will help create the type of app that you desire. We always strive to deliver affordable, yet high-quality solutions. Therefore, you can rest assured that without spending too much, you will get a superb Windows Phone app, which is designed and developed as per your idea and specification. Developing an app , whether for desktop or smartphone, is not an easy task, but for us it is. Our team of experienced Windows app developers has extensive knowledge of various Microsoft technologies. This allows us to develop excellent apps that are not only interactive and fluid, but cloud-ready, as well. It does not matter what the app requirement is, our Windows app developers can build it. We will even help submit your Windows app to the Windows Store and get it approved. Contact us with your requirement and know how we can help with an outstanding Windows app or Windows Phone app development solution.